Proposed 2018 Medicare payment rates for clinical diagnostic laboratory tests, calculated under the Protecting Access to Medicare Act (PAMA), have drawn anger from labs that process the tests and others. The Centers for Medicare & Medicaid Services (CMS) said the proposed rates would save about $670 million in Part B program payments for clinical lab fee schedule (CLFS) tests in Fiscal Year 2018, roughly a 10% reduction from the approximately $7 billion paid each year by the agency. CMS had projected a $390 million savings in FY2018, rising to $3.93 billion over 10 years. CMS’ proposed rates would take effect January 1, 2018. The agency is soliciting public comment through October 23, with final rates set to be published in November. According to CMS, approximately 75% of tests, will see rate reductions from 2017—with 58% of those having the decreases phased in because the agency has set a 10% per-year cap on reductions from 2018 to 2020. CPT code 81450, covering tests for hematological malignancies, which rose by $106.59, or 16.3%, to $648.40. CPT code 81519, covering Genomic Health’s Oncotype DX for breast cancer, which rose by $429.64 or 12.48%, to $3,873. However, the rate for CPT code 81445—targeted next-generation sequencing (NGS) analysis panels of five to 50 genes—dropped $4.19, or 0.7%, from $602.10 this year to $597.91 in 2018. Just about one-third (34%) of the lab market was represented, and hospital labs were underrepresented—CMS promulgated guidelines for PAMA implementation that defined “applicable labs” as those hospital labs that have their own NPI numbers; most do not. The top two commercial labs, Quest Diagnostics and LabCorp, accounted for about 80% of the volume of tests used to calculate the rates. “You’re going to end up picking their price even though there are another 20 to 30% of labs that have submitted at much higher prices that could have boosted the average,” White said. LabCorp and Quest both criticized CMS’ proposed rates. “The result is proposed rates that will negatively impact Medicare beneficiaries, restrict access to necessary and life-saving lab testing, and stifle innovation in the research and development of new diagnostic tools,” LabCorp Chairman and CEO David P. King said. White said CMS’ preliminary rates would negatively impact smaller labs, especially those that serve rural communities, lower-income communities, and senior citizens, such as nursing-home labs. Many smaller labs, she predicted, can expect to face payment cuts with private payers as well, which often hold the labs to take-it-or-leave-it contracts tied to Medicare fees. The challenges the 2018 rates pose for smaller and rural laboratories would create further consolidation, White said. That consolidation would differ from what the industry has traditionally seen, where labs offering esoteric or proprietary tests get absorbed into corporate giants. Where such consolidation has been among nationally-focused labs, smaller labs focus on serving communities and niche populations. White said XIFIN supports the American Clinical Laboratory Association (ACLA)’s call to delay implementation of the 2018 rates until CMS and stakeholders can move toward a market-based payment solution. 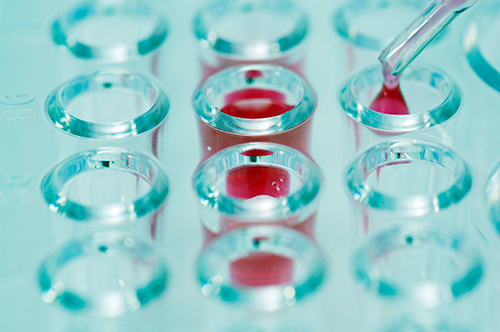 The proposed rates, if adopted, “will devastate many of our members and create severe disruptions in access to laboratory services, particularly for the most vulnerable Medicare beneficiaries,” Julie Khani, president of ACLA, said in a statement. Prospective rather than retrospective data collection, allowing labs to arrange to collect data accurately and in totality. Changing the definition of applicable labs to all labs, including all hospital labs that perform fee-for-service testing on CLFS services, and all physician office labs. Hospital and physician labs accounted for only 8.5% of the reported lab volume used by CMS to calculate its rates, according to Quest. However, Klein questioned whether more reporting by hospital and physician labs would lead to higher rates. “Because the environment has become so competitive and so many hospital payments are bundled, I am skeptical that hospital reporting would impact the weighted median much. Most hospitals would likely have been unable to meet these highly granular reporting requirements in any event,” Dr. Klein said, as would most physician labs. Those labs were hamstrung, White said, by CMS setting the data collection period for the first half of 2016, though the agency’s rules didn’t come out till months later. By then, the labs didn’t have the ability to retrieve data needed for submission to CMS—namely electronic data often discarded after it is posted into their billing systems.